The Australian Songwriters Association (ASA) is a national, non-profit, member-based organisation dedicated to the support of songwriters and their art. Founded in 1979, the ASA today has a large, vibrant and diverse membership across Australia, and is well established and highly regarded. 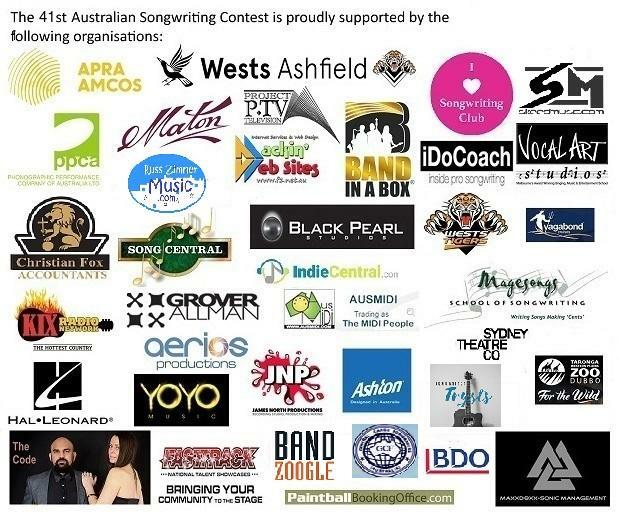 The ASA's Australian Songwriting Contest is the country’s largest and longest running competition (over 30 years!) for professional and amateur songwriters. Songs are judged on originality and craft. The song does not have to be performed by the songwriter, but it must be original and not signed with a publishing company at the time of entry. Membership of the ASA and entry into the Australian Songwriting Contest is open to Australian citizens and permanent residents only, with the exception of the International Category, which is open to citizens of all nations. Entry must be in the name of an individual songwriter, whose responsibility it will be to list any co-writers and liaise with them as necessary if the material progresses through the competition. Sponsors of prizes and supporters of the organisation include Aerios Productions, APRA/AMCOS, Australis/Ashton, Band in a Box, BDO, Black Pearl Studios, Christian Fox Accountants, Grover Allman, Hal Leonard, iDOCoach, I Heart Songwriting Club, Indie Central, James North Productions, KIX Country Radio Network, Loving Earth, Mackin Websites, Magesongs School of Songwriting, MasterWriter Inc., Maton Guitars, MAXXDBXXX-Sonic Management, MusicWriter Inc., Noteflight, Paint Ball, Peter Allen Songwriting Competition (Tenterfield Festival), PPCA, Project TV, Q Music, Rhythms Magazine, Song Central, Sydney Theatre Company, Taronga Western Plains Zoo, The Code, University of Griffith, Vagabond Cruises, Vocal Art Studios, Wests Ashfield Leagues Club, Wests Tigers Rugby League Ltd and YOYO Management. As well as the Prize Sponsors listed above, the ASA gratefully acknowledges Radio Station 4BC and sister stations for ongoing support. The ASA uses up to 60 well-qualified people from the music industry in a unique multi-tiered judging system in which each entrant’s identity is hidden. This precludes any tendency for the judges’ decisions to be influenced by any factors outside of the song itself. A very exciting feature of this year’s Australian Songwriting Contest, is that, courtesy Hal Leonard and Noteflight, EVERY SINGLE ENTRANT WILL RECEIVE A CODE FOR 3 MONTHS FREE ACCESS TO NOTEFLIGHT!!! This is valued at $99.95, and regardless of results, every songwriter who puts a song in the competition will receive this benefit. Following the judging process, 1st place-getters are invited to perform at the ASA's gala National Songwriting Awards, which is an important fixture on the Music Industry Calendar. The Lyrics Category winner is the only exception to this, but they will have their composition displayed in written form on the night. All 1st, 2nd and 3rd place-getters will receive other prizes as detailed below, and all Top 10 finalists are recognised on stage at the Awards, as well as receiving a Certificate of Placing. All entrants will have 3 free months free access code for all Song Contest entrants, valued at $99.95 sponsored by Noteflight. The National Songwriting Awards have been dubbed 'the Easys', after the original inductees into the ASA's Australian Songwriters Hall of Fame, The Easybeats. This year's Awards Night will feature a very special performance by another elite Australian songwriter, who will be inducted into the Australian Songwriters Hall of Fame. Judged from the 1st place getters of each category. Separate entry is not required. Winner receives: $3,000 cash for APRA and an Easys Trophy. All entrants who are ASA members qualify for nomination to receive this great honour. A special category open to songwriters from any country in the World, including Australia! All genres can be entered. CLOSING DATE – 31 May, but the ASA reserves the right to be flexible with this date as may be deemed desirable. ENTRANTS - Entry is open to all amateur and professional songwriters who are Australian Citizens or hold permanent Australian residency, though Foreign Citizens can enter the International Category. Entry must be in the name of an individual. The entrant must be the writer or a co-writer of each song entered. Entrants may join the ASA at the time of entry by submitting payment of membership fee with completed entry form. Contest entry is not open to ASA Board Members, or persons involved in the administration and processing of entries. INTERNATIONAL CATEGORY - Contestants from overseas (as well as Australasians) can enter this category, and entries may be in English or any foreign language, and of any genre. This category has the highest cash prize, due to the larger field. COMPOSITIONS - Material must be original and have not had obvious commercial success at the time of entry. COPYRIGHT - Only material in which the entrant has copyright for may be entered in this Contest. The entrant implies that they have full copyright by the act of entering the Contest. Entrants guarantee to indemnify the Contest organisers against any claim or loss resulting from noncompliance with copyright laws. Entrants' copyright in submitted songs is not affected by entering the Contest. CO-WRITERS - The names of all contributing writers must be included in the entry form. It is the responsibility of the entrant to divide any prizes with co-writers appropriately. PROMOTIONAL USE - By entering, the entrant agrees that entry materials may be used by the Australian Songwriters Association for promotional purposes. This includes such things as placing the Top 10 songs on the ASA website, production of compilation CDs and DVDs, reproduction of Top 10 lyrics in the ASA magazine and possible radio, television and website broadcast. JUDGING - All entries are rendered anonymous and numbered prior to judging. The judges’ decisions are final and no correspondence will be entered into. The ASA Board will have final discretion in all matters. All entries are judged in the preliminary rounds by at least 3 judges, prior to the selection of Shortlisted and Top 30 Finalist songs in each category. Finalists are judged by a fresh set of music industry professionals, with different judges for each category. This means that the same some in 2 different categories will be given a fresh unbiased assessment. The Top 10 are obtained by painstaking culling of the Top 30. NOTIFICATION OF RESULTS - Those who are shortlisted will receive an email notifying them of this achievement, by October. Those who proceed to the Top 30 will not be emailed but are required to go to the website www.asai.org.au to view the Top 30 lists approximately 2 weeks after the shortlist email. The Top 10 finalists will be announced at the National Songwriting Awards, where they will be honoured on stage. PRIZES - Prizes may be varied without compensation, at the discretion of the Sponsor or the ASA. Any physical prizes not collected by winner or their representative at the National Songwriting Awards, will be shipped at the entrant’s expense. In the event of a tied result, prizes are also split as fairly as possible, with the ASA Board making the final decision with no prolonged correspondence being entered into. The ASA is permitted to share email addresses of Prize Winners with sponsors so that direct correspondence can be entered into, unless specifically instructed not to do so by email to the National Office. NUMBER OF ENTRIES - There is no limit to the number of entries that may be submitted. ENTRIES IN MORE THAN ONE CATEGORY OR FROM A PREVIOUS YEAR - A single song can be entered into multiple categories, or in another year of the contest. There are different judges for each category and they vary from year to year, so this means that a song may get through in one category or in one year when it may have missed out in another. YOUTH CATEGORY - Songs by entrants and all co-writers must be under the age of eighteen (18) as at 31 May this year. Entries of songs with over-age co-writers will be eliminated without compensation. ACCURACY - Accuracy of entry information is entirely the responsibility of the entrant. The ASA cannot be held responsible for omissions or mistakes, and entrant miscalculations in payments will not be refunded. FEEDBACK SERVICE - For a fee, this service is offered to entrants who would like to have written feedback on their work from a professional evaluator. The evaluations are separate to the judging process. Feedback critiques will not be commenced until after the final results are announced. This rule is in place in order to ensure that no judges, who may be used for the Contest as well as for Feedback evaluations, become unfairly familiar with the works prior to the Contest results being decided. PRACTICALITIES: Songs need to be submitted in accordance with the digital requirements described by the online entry platforms. Any entrants unable to use this technology may request a Manual Entry Form by phoning the ASA Office (which is staffed part-time) on 02 9516 4960 or (preferably) emailing asanationaloffice@asai.org.au,so that their songs can be submitted on CD or USB stick. There is an additional charge for manual entries due to the extra handling required. Lyrics do not need to be included except when they are going to be entered into the actual Lyrics Category.